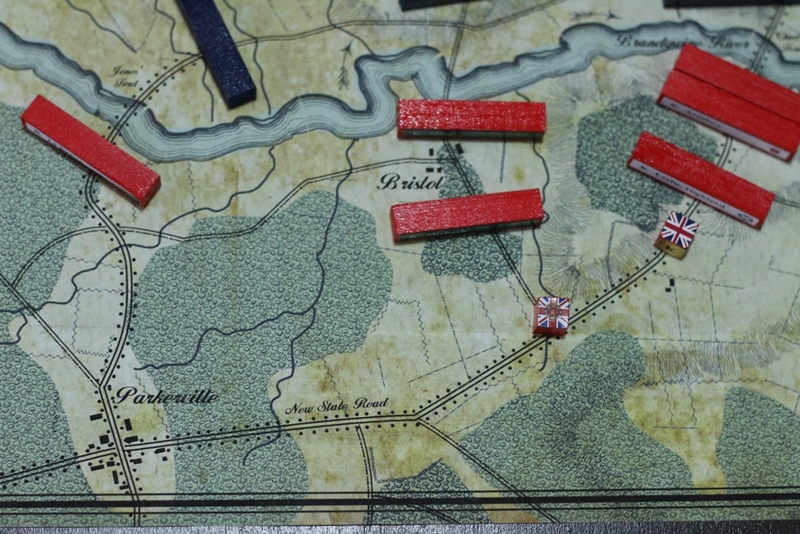 I was just on a forum where players were looking for Period Civil War maps that could be used for Kriegsspiel. We make maps like this for art and other games. They aren't set to Kriegsspiel scale but..... they could be. Is there any interest in this? All our maps are done in period canvas. The pieces tend to 'stick' to the surface of the canvas better, so they don't slide around so much when bumped. We have Marengo, Sharpsburg and Brandywine. We are getting ready to do Gettysburg, Manassas and Fredricksburg/Chancellorsville. 3 what is the other kriegsspiel forum you mention? We thought we were unique! Where do we check these out? I print my own maps at great expense. I obtain my maps from the Library of Congress digital collections. It would be nice to buy a map of such good quality and appearance. I do everything first-rate, and even have custom KS pieces made to my specifications, so I am a serious customer. Would love to see more, please. King Rufus, I sent my spies on a mission, this is what they returned. I expect to be paid in gold, of course.